The current page title, O vos omnes (Feria Sexta in Parasceve) (Tomás Luis de Victoria), seems to imply a liturgical use on Good Friday. Unless I'm missing something though, that designation in the 1572 contents refers to the singing of Saturday tenebrae on the preceding eve. 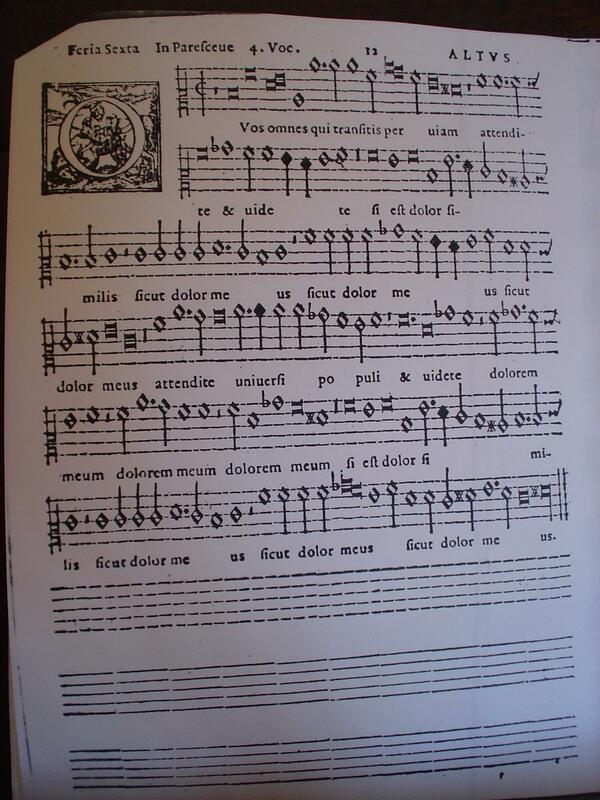 O vos omnes (1585, for unmixed voices) (Tomás Luis de Victoria). Hi! It would not have been necessary to add a label to 1585 since it was part of a cycle; it might have been sung Friday as well, which (liturgically speaking) ends at sundown (or even earlier at different times and places), so my question (is there a non-eve-of Holy-Sat. liturgy at which 1572 could be sung?) stands. 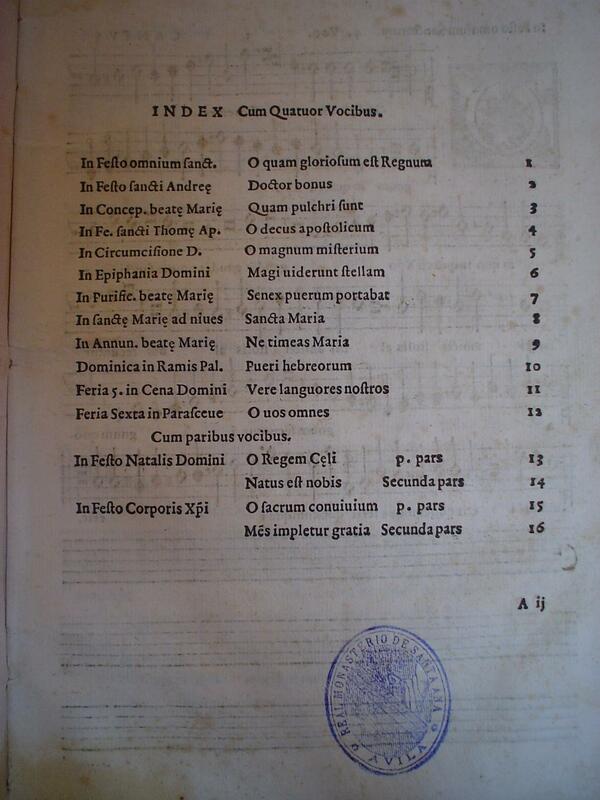 In any case, the question is not so much how Victoria or a publisher labeled the 1572 setting, but how to dab O vos omnes (Feria Sexta in Parasceve) (Tomás Luis de Victoria) from plain old O vos omnes (Tomás Luis de Victoria) and avoid further misspostings (not to mention confusion among downlaoders). O vos omnes (Feria Sexta in Parasceve) does not seem to be universal on the internet and I cant find any non CPDL references. Grove unhelpfully lists the pieces separately under "responsories" and "motets" as O vos omnes 1585b & O vos omnes, qui transitis per viam 1572. IMSLP follows in part. WIMA adds Officium Hebdomadæ Sanctæ 1585 to the title; unfortunately this is the 1572 setting! This page was last edited on 22 January 2019, at 01:07.